Sweet congee is just pure comfort food for me. I buy lots of canned ones because my grandmother loves it too, but one week I decided to make my own since I had a lot of the ingredients. My mom had purchased a bunch of dried peanuts and barley after I gave birth for me to eat and since I had a bunch leftover, I thought to use some of it in a nice big pot of sweet congee or sweet porridge. It not only tastes good, but the ingredients I used are so good for you! 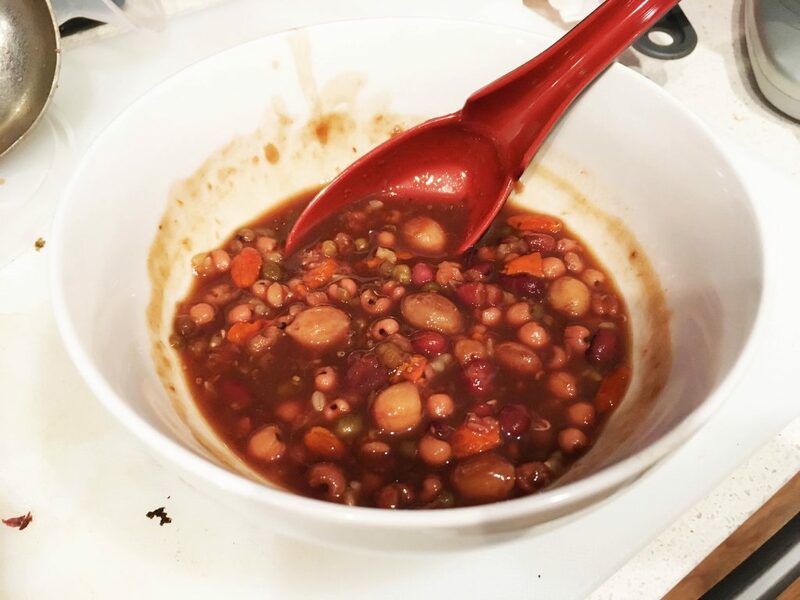 The goji berries are full of antioxidants, the barley is supposed to help your gut, the mung beans are rich in fiber, the peanuts have protein, and the adzuki beans have lots of vitamins. Best thing is that you throw everything in a pot and just let it cook while you go off into the apartment and do your own thing. 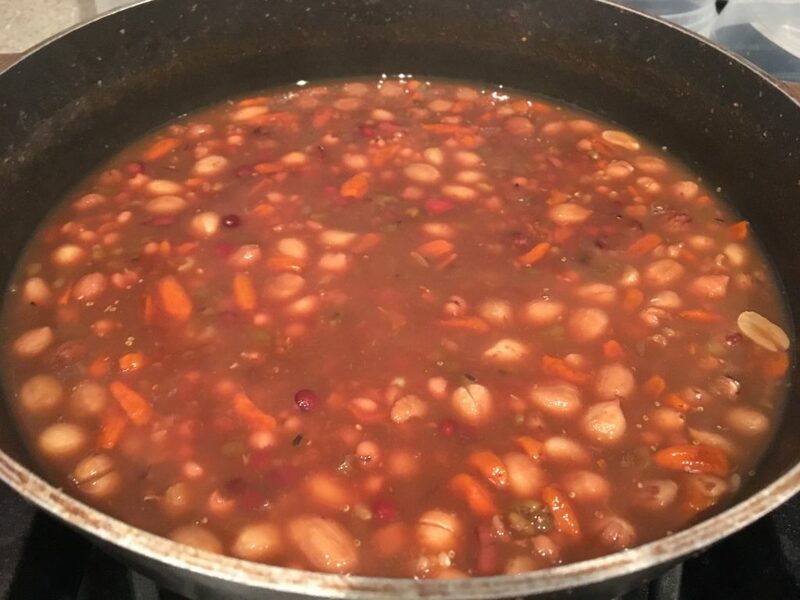 Soak the adzuki beans and mung beans overnight. Then when you are ready to cook everything, drain the beans and add them in a pot with the goji berries and barley. Fill it up with water so that your ingredients hit the water only halfway up. Bring the water to a boil over medium heat and boil for 20-30 minutes. Then simmer for another 30 minutes, covered. Add sugar to taste. If the water ever gets too low, just add in more water.